We look forward to seeing you at the upcomiing seminar and AGM. This is a perfect time to exchange with peers operating in the credit industry or interested people who want to learn more. 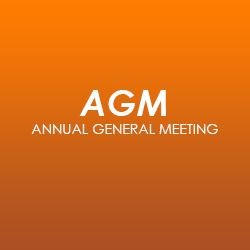 The Credit Institute will be holding its annual general Meeting after the seminar and we welcome members and non-membersto stay and participate. Members: Free with a non-perishable food donation. Registration includes seminar and lunch.